Early Warning Signs of "The Disappearing Web Developer" Early Warning Signs of "The Disappearing Web Developer"
In my last blog post, “Client Abandonment: My Web Developer Disappeared!“, we took a high level look at what happens when a web developer disappears from a project s/he was contracted to do. Sometimes, it’s not easy to tell when a developer might disappear on you, but there are early warning signs that you should be aware of that will trigger a yellow or red flag. A contract usually starts with only the best intentions. Both developer and client are excited to get started, but somewhere in the process, many web designers and developers will either lose interest or become otherwise unreachable, and that leaves your web site partially finished, often with no one to complete the work. While we certainly hope that no one — individual or large firm — would abandon your project, I have to admit, we at ‘corePHP’ take on orphaned clients frequently. “Abandoned Client Syndrome” happens more often that you might think. 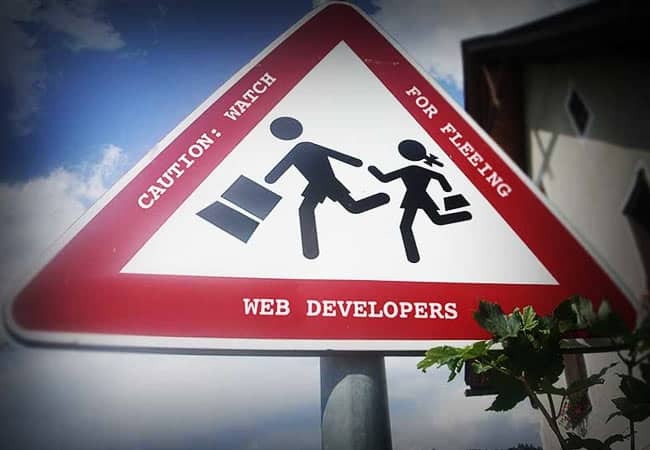 While we appreciate the work, in doing this time and again, we’ve learned what signs to look for in order to detect whether your web developer might abandon your web site project, to give you an early warning sign of when it’s time to right the ship. Ask about their project management process to let them know your concerns for a project done on-time, on-budget. Establish deadlines early in the project, to test the vendor’s discipline for timelines, and responsiveness to your particular needs. Ask your Project Manager to go over project status and goals often. Specify response time to your questions and inquiries in your requirements for payment document (contract). When considering a vendor for your project, make sure to ask them what their project management process is. Ask for an overview of the process from sales to delivery. After the sale on a project, how do they handle the work? Is there a central point of contact that the developers, graphic designers and all involved on your project (big or small) go to? Does the company give you a point of contact right up front to communicate with? If there isn’t a Project Manager or supervisor of projects, this should send up a warning flare in your mind. You wouldn’t want to risk giving important information to just anyone who picks up the phone at the development firm, hoping it gets passed to the right person. Who would be responsible if the information you conveyed was not passed on or otherwise inaccurate? Even smaller projects are usually best run by a Project Manager. Yes, full disclosure, I am a “PM,” so I’m clearly biased, but for good reason. If your developer or designer IS the project manager – even if they think it’s to save on your project budget – you may want to suggest bringing in a PM to help keep your project on-time, and on-budget. Don’t underestimate the value of having a vendor-side manager, responsible for keeping your project first priority for the whole development and production team, so you don’t have to. If you’re considering hiring a freelancer or smaller company, they might not have a solid project management process in place. In situations like this, it’s much harder to gauge how the project will be completed, but at the same time, you’re only dealing with a single person. That single person may have been sold as a budgetary advantage, but remember, that one person is a single point of failure as well. No safety net, and no one but you to keep your project moving forward. Project Managers run the project, so all other team members can do what they’re best suited to do, avoiding burn-out, fatigue, miscommunication and so many other factors which often result in project abandonment. Where I work, every project is assigned a project manager, and our clients receive the PM’s contact information right up front. We believe that a single point of contact is the best approach because the project manager will be familiar with your project and be able to convey your thoughts, ideas and needs to the team effectively and quickly. By ensuring a project manager is on your project team as your primary point of contact, you’ll be taking a big step toward avoiding issues mentioned previously, as well as the dreaded “he said / she said” situations, “telephone” games and other communication issues that inevitably arise. Furthermore, the project manager ensures that work is balanced evenly among the staff so no one is overloaded or sitting around with nothing to do. In your first dealings with a potential web developer, take notice of how they communicate. A reputable developer embraces both email AND telephone communications. Dealing with developers who only want to communicate via email or online chat is a big red flag. If they don’t have a dedicated phone line to conduct business with you, consider this to be a huge red flag. If you are in the same geographic region, your developer should not hesitate to meet with you in person at any point during the development process. Holding a Skype meeting isn’t going to cut it, if you could just as well meet somewhere to discuss your project. It is a sure sign that the developer may abandon ship if they are resistant to meeting face to face, and keep pushing you to email or Skype with them. The only exception to this rule is if you hire someone who you know personally, and have already established trust. Where I work, we assign all clients a Project Manager to handle communications as a single point of contact. As our client, for instance, you would be given the assigned PM’s email, online messaging and telephone information up front, so you can rest assured your communications will be handled professionally and quickly. Many smaller businesses will hire developers who moonlight. While this is not bad in and of itself, be aware that your project is often not their first priority. Plus, in many cases, will take much longer to complete, as they only might work on your project for a couple hours a night. Their personal life often comes before your professional needs. You risk them taking on other contracts that conflict with yours. Your project might get pushed to the side, depending upon their interest in the projects at hand. They might not know their limits. Many freelancers, especially when new, can bite off more than they can chew. They may take on as many jobs as they can without thinking about what it really will take to get the contract complete. In some cases, a freelancer will just abandon projects that don’t interest them. Freelancers often commit to projects they simply don’t have the skills to accomplish. Rather than admit they can’t do what they promise, many just disappear. If you go down this road and hire a freelancer, make sure your freelancer is a seasoned professional and has been working on their own long enough to know their limits. In my work life, part of what I handle as a Project Manager is thoroughly reviewing projects in order to not only map them out, but also to save as much time and money as possible for our clients. In the case of abandoned projects which come across my desk, after review, we’ve got a good idea of how well we can pick up where the previous developer left off, in order to complete the project in an acceptable timeframe. Final Tip: It’s important for you to make sure to keep records of the communication and anything that the previous web developer has shared with you in order to assist us in planning the best strategy to complete your project in as little time as possible. Want to learn more about how we handle abandoned projects? Check this out. 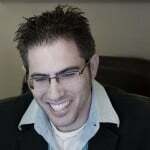 This entry was posted in Technology Advice and tagged Advice, Project Abandonment, Web Development on December 13, 2014 by Michael Pignataro.